The most widely used stimulant in the world, caffeine is found in a variety of plants as well as commonly consumed foods and drinks such as tea, chocolate, cocoa, cola, and of course, coffee. Caffeine is becoming increasingly popular among athletes, available as energy drinks, sports gels, supplements, and even injections. 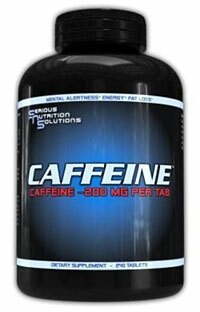 Additionally, many weight-loss supplements out there rely on caffeine for their mechanism of action. Is the growing use of caffeine during exercise justified in terms of athletic performance and weight loss? And moreover, is combining caffeine and exercise safe? Read on for an overview of how caffeine affects the body, caffeine for performance, caffeine for weight loss, and the best timing for caffeine use during exercise if you choose to use it. Caffeine is considered a nutritional ergogenic aid. 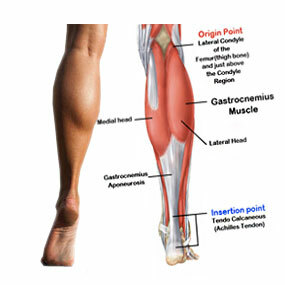 An ergogenic aid is anything that assists in the production of energy, thereby enhancing performance. Caffeine and exercise are often combined by those looking for a boost in athletic performance or exercise motivation. Caffeine has some very interesting effects on energy metabolism during exercise. Caffeine acts to mobilize excess fat stores in both the adipose tissue itself and in skeletal muscle. The body begins metabolizing fat for energy instead of glycogen, its normal go-to source of stored energy. This translates to more fat being burned and higher physical endurance as more glycogen is spared for later. This effect is well-documented in elite athletes and highly conditioned exercisers, but more research needs to be done to see if the same thing happens with less-conditioned people. Use caution when combining caffeine and exercise. Don’t suddenly increase your dose until you know how your body reacts to caffeine. Some people are quite sensitive to caffeine’s effects while others are less sensitive. The reason for such wide variance is still unknown to scientists. As stated above, caffeine consumption causes the body to mobilize fat stores before dipping into its glycogen supply, where it normally gets it energy. From a performance perspective, this means caffeine can lead to increased endurance. If fat stores are quickly mobilized, that means more glycogen is spared for later use. Athletes can then exercise for a longer time period before tiring out, which is good news for competitive endurance athletes! Also, caffeine’s psychological effects can lower an athlete’s rate of perceived exertion. Due to the strong mind-body connection and the importance of motivation in athletic performance, athletes may exercise longer due to a decreased perception of fatigue, even if their body is just as fatigued by purely physical standards. 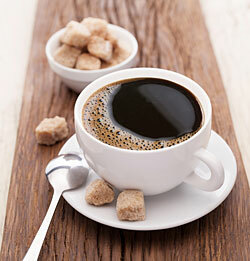 Caffeine has also been found to boost performance during intense bursts of exercise lasting around five minutes. However, attempts to establish a performance increase associated with caffeine use during very short sprinting-type exercises have been unfruitful. Much better evidence exists for caffeine’s efficacy in boosting endurance performance due to the sparing of glycogen for use later in the exercise session. The proper dose of caffeine for performance increases is between 3-9 mg per kg of body weight. One large mug or two regular 8oz cups should do the trick for most people. Lower amounts have failed to appreciably increase performance, and higher amounts tend to lead to the nastier side effects of caffeine including the jitters, anxiety, irritability, and even heart palpitations. The effects of caffeine on exercise performance can be tricky to manipulate, since caffeine is a drug that causes tolerance to develop very quickly. In other words, caffeine becomes more of a maintenance drug for habitual users. Some athletes who are habitual caffeine drinkers will cut down on their consumption a few days before an event so their tolerance drops, then take caffeine an hour before the event to boost their performance. If you choose to manipulate caffeine and exercise in this way, make sure you try the process first before your event. You don’t want to mess yourself up on race day. The withdrawal symptoms may interrupt your training schedule and actually lead to decreased performance during your event. Results are difficult to predict since there is such a varied response to caffeine among different people, so make sure you know exactly how your body will respond before relying on manipulations of caffeine for performance gains for your actual competition. Of course, many of you will be wondering what increased metabolism of fat driven by caffeine means for weight loss. Many supplements trumpet the use of caffeine for weight loss, or are simply stuffed with caffeine even if it doesn’t say so right on the front of the package. It seems pretty straightforward in theory: increased mobilization of fat means more fat is burned, which equates to more fat loss, which sounds promising for people looking to lose weight. However, there are not enough valid scientific studies conducted on human subjects to truly establish caffeine’s efficacy and safety as a weight loss supplement. The studies that have been done show weight loss on the order of a few pounds, not the massive weight loss supplement companies are claiming to deliver if you take their caffeine-packed pills. If there is a “magic bullet” for weight loss, it hasn’t been found yet, and it certainly isn’t caffeine according to the current evidence. The best way to lose weight is still the old-fashioned way: simply eat a nutritious diet and engage in a fat-burning workout plan, expending more calories than you consume. Visit AskTheTrainer’s Weight Loss Category to learn all about how to lose body fat in a healthy, sustainable way. If you find that you get a little boost when you combine caffeine and exercise, feel free to have that caffeine before a workout. As stated in the section on caffeine and performance, caffeine may indeed activate physiological and psychological systems which help you exercise harder and longer. Caffeine is a diuretic, leading to excessive shedding of water. If you drink caffeine or take caffeine supplements, drink lots of water to stay hydrated. 1. Graham, T.E. (2001). Caffeine, exercise, and performance. Sports Medicine. 31(11): 785-807.